Stay in a houseboat in Newburyport and enjoy views overlooking the stunning harbor and easy access to beaches, award-winning restaurants, a renowned wildlife refuge, and the historic downtown. Houseboats of Newburyport has launched its third houseboat, called Harborside, which sits in the Harbor Marina on the Merrimack River. The boat — a cross between a hotel suite and a small New England home — has two outside decks, a bedroom with a queen-size bed and full bathroom, a living room with a pullout sofa, and a kitchenette with a dining area. It also offers cable television and free WiFi. Or stay on the Riverside houseboat, which launched earlier this year, or the Dockside, both located at Newburyport’s Hilton Marina. Guests must be 26 or older. Rates start at $229 per night for up to four people. 888-755-1472, www.houseboatsatnewburyport.com. 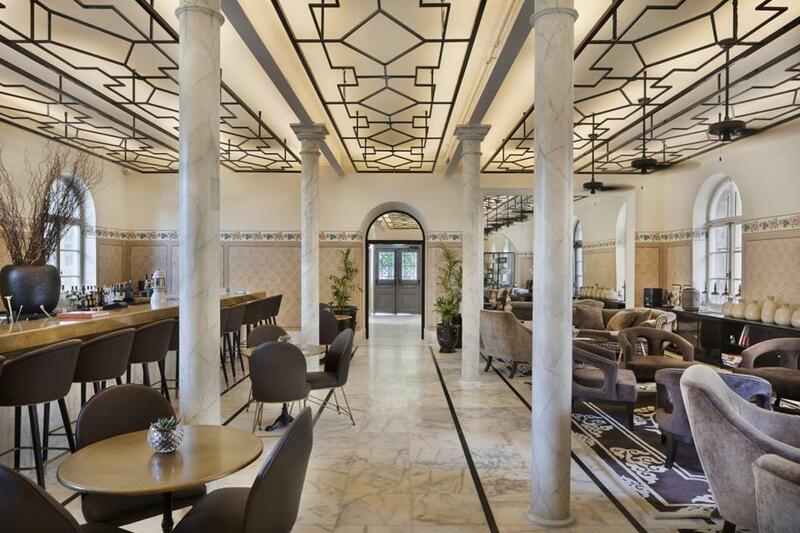 A boutique hotel has opened in a historic property in downtown Tel Aviv that once welcomed Thomas Cook, Mark Twain, and other renowned travelers. The Drisco Hotel, located in the city’s American Colony neighborhood, offers a modern interpretation of original Ottoman oriental design and blends historic elements with upscale amenities. The hotel features 37 rooms and five suites, all with large marble bathrooms and vintage sinks, and balconies with views of Tel Aviv-Jaffa or the Mediterranean Sea. The Drisco Bar, located in the hotel lobby, provides small bites, cocktails, and gourmet teas, while Zada, the onsite restaurant, offers a contemporary take on Ottoman cuisine, featuring fresh fish and seafood, gourmet kebab dishes, and pastries. Rates start at $400, double occupancy. www.thedrisco.com.